The Deanta FOLD Door Frame System is now available to Buy Online! Deanta Fold uses a high quality track to allow any Deanta Door to effortlessly glide across the system. Deanta Room dividers offer a vast array of different options to choose from. A room divider can bring that flexibility to a property that is not always afforded by merely using walls to separate rooms. It offers a convenient and attractive way to turn one large room into two smaller rooms. Numerous confi­gura­tions can be created to suit any home. 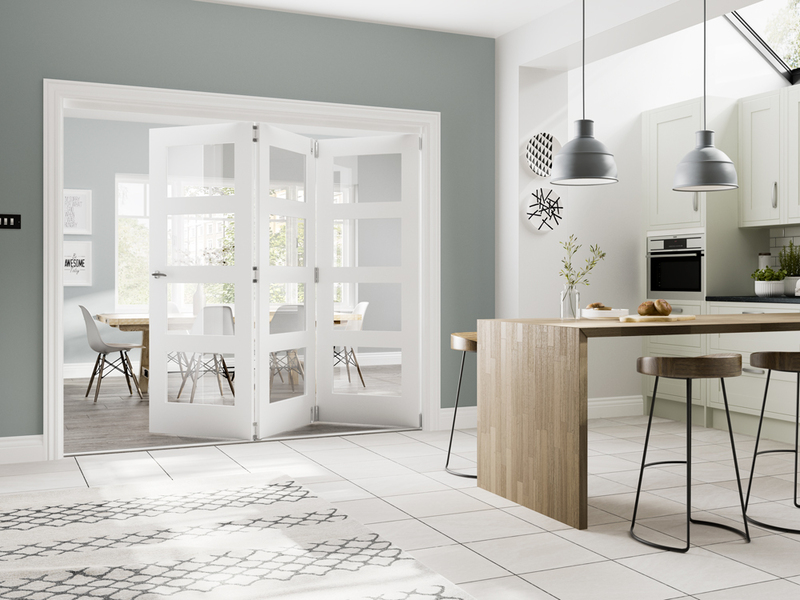 Deanta FOLD Door Frames are supplied with a 10 Year Manufacturing Defect Guarantee and are fabricated using materials and components of the very highest quality. The Fold System offers you the freedom to choose any door from the Deanta range to achieve the look you want. Deanta supply door linings in oak, walnut and primed to match any door you choose for your Deanta Fold system. JAS Timber supply the Fold Door Frame System required for installation along with quality doors that are guaranteed to impress. Now is the perfect time to get your Deata Fold Door Track System. 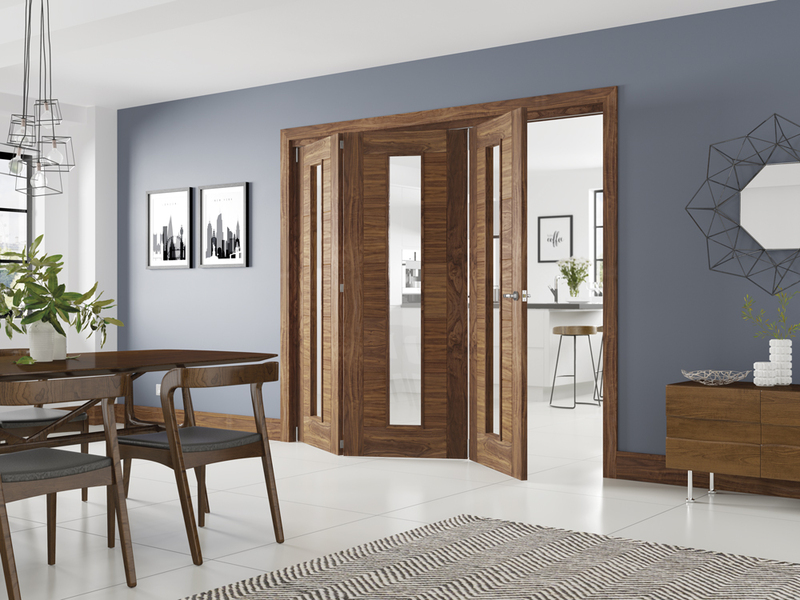 Available in Oak, Walnut and White with a large range of doors available - call our experienced customer service team for more details. - Don't forget to tell us what you think!